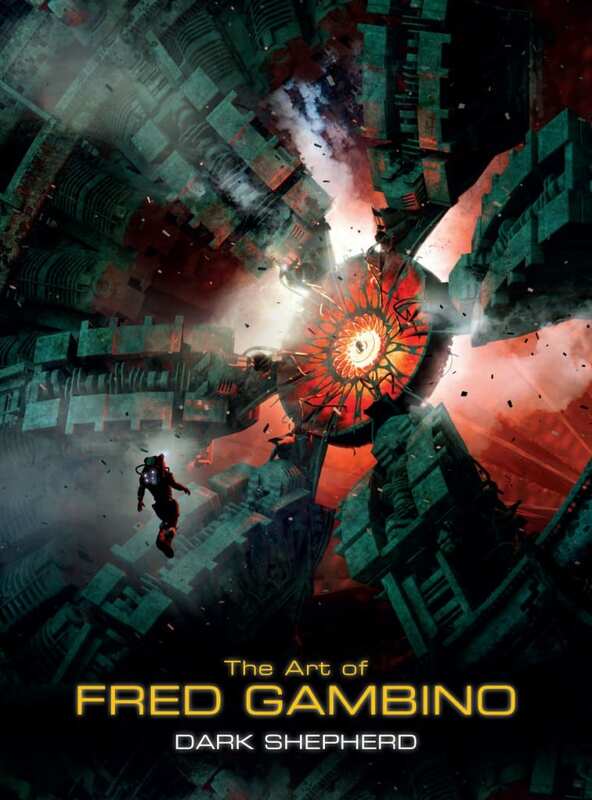 Thanks to the generosity of Titan Books, I received a copy of The Art of Fred Gambino: Dark Shepherd to review! This beautiful book is an insightful look into the life of a freelance illustrator. Dark Shepherd is the first art book I’ve received that highlights a certain artist rather than a film or studio. It’s a visual portfolio of artist Fred Gambino’s last 15 years of commercial work. He’s been working in illustration for a total of three decades. If you’re an illustrator with dreams of breaking into the creative industries, Dark Shepherd is a great book that will enlighten and inspire you! The first thing I noticed is that, although Gambino doesn’t have his name attached to any mega-franchises in animation, he’s managed to earn himself steady work for 30 years. 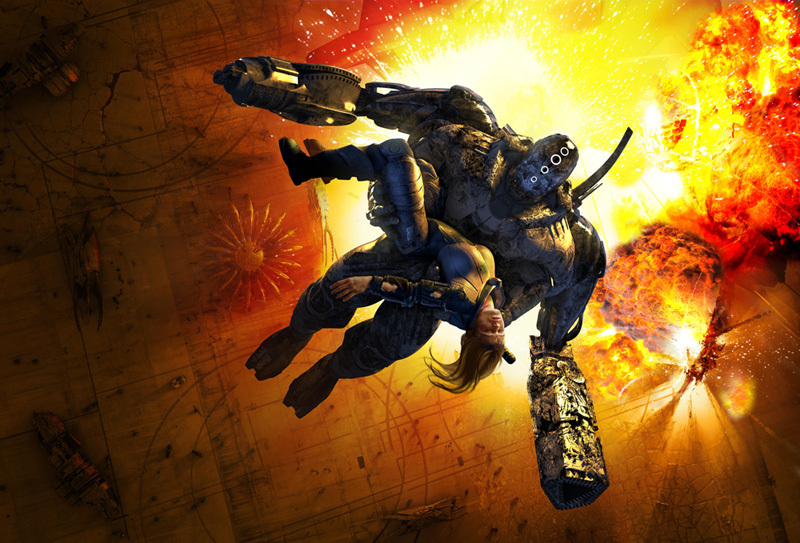 Dark Shepherd does highlight his work from some productions you might recognize, such as the MechWarrior book series, Bioshock, and Escape from Planet Earth (2013). But for the most part, his portfolio consists of comparatively miscellaneous commissions and pieces he has done for his many, many clients. This kind of body of work, in my opinion, is a more realistic vista into the life of a freelance artist. Not every bright-eyed art school graduate is going to become the next Glen Keane! Surviving in the freelance world is a matter of hard work, seizing opportunities, and expanding one’s skill set. It’s evident that Gambino learned to adapt to the changing world of illustration and concept design. While he first started illustrating with oil and acrylic paint, he eventually expanded his skills into Photoshop, 3D modeling / texturing, and CG animation. Now, his works are almost exclusively digital. Note to self: If you want to make a career in the creative industries, you need to industrialize your talents. This means keeping up with current creative technologies. What will you do to keep yourself relevant and valuable to directors? All of this is literally illustrated in The Art of Fred Gambino: Dark Shepherd. The large format of the book and excellent image quality clearly demonstrate that Gambino is an artist with imagination and a mastery of current technology. 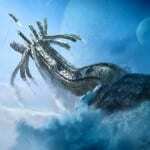 This priceless combination of traits has earned him job after job, and has taken him into exciting creative fields from book cover illustration to concept design for film and gaming. The first half of the book features a ‘personal screenplay project’ called ‘Dark Shepherd’, written by Gambino himself. 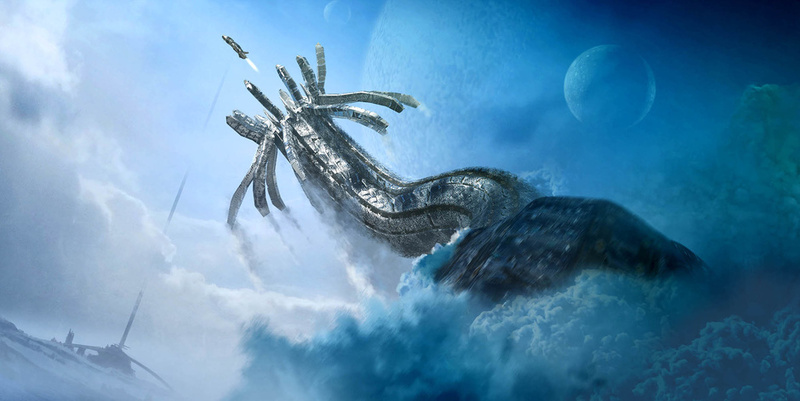 The script is accompanied by concept art for the story. It looks like something you would pitch to a Hollywood director. If you like sci-fi, it’s definitely worth a read. At any rate, it shows that Gambino is again broadening his horizons and and making new opportunities for himself. I recommend The Art of Fred Gambino: Dark Shepherd to any and all aspiring concept artists and science fiction fans! Do you think it’s better for an artist to find steady work with smaller commissions, or go straight for the big studios’ huge franchises? Sound off in the comments below! Mason is a rigger/animator at Triseum Games. He's also a grad student at Texas A&M working on his Master's thesis. He loves talking about animation, watching old Godzilla flicks, listening to 80s music, and drawing cartoons. Bottom text.